If you work in conservation biology field research for cheetah, snow leopard or jaguar, this is for you. Consider using FIT if you are struggling to apply existing monitoring techniques, often see footprints and would prefer to try a non-invasive approach. You can help us by collecting footprints from individual animals that you know, for the FIT algorithm development. 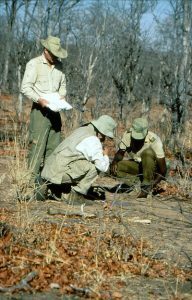 You can also help by collecting footprint trails from unknown individuals of that species, as part of our FIT testing and validation protocol for that species. Using your images, and those of others around the world, we will develop FIT algorithms and then help you to get started using FIT for monitoring. We will be running training workshops both at zoos and sanctuaries, and in the field, to train conservationists how to use ConservationFIT effectively. Register on our site, and get started with ConservationFIT!